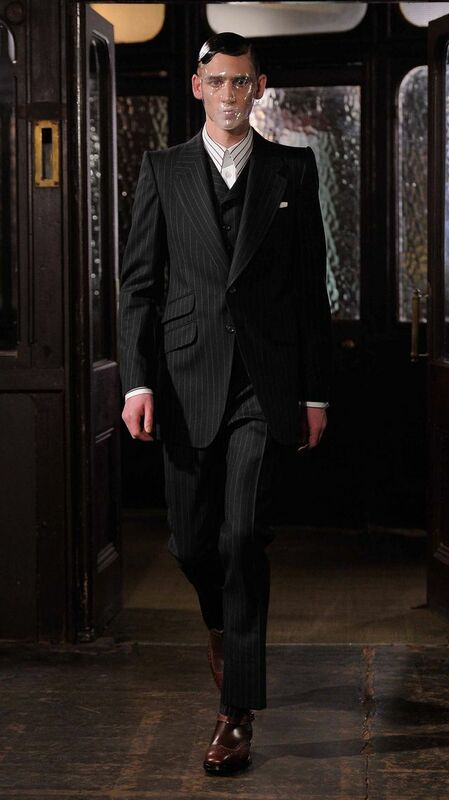 One conclusion we can all make from Paris Fashion Week Men’s collections is that Autumn/Winter 2013 is going to be rife with dapper-looking gentlemen. 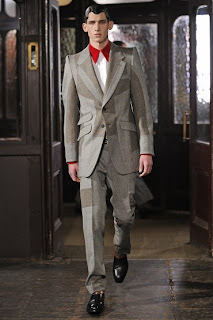 Guests were treated to a parade of stunning Saville Row tailoring in plaid and hounds tooth check, yet with the added artistic va va voom, exquisite! Valentino channelled a suave Sherlock Holmes by incorporating a cape into a classic grey 3-piece suit. 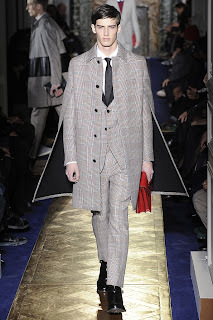 The collection remained as ‘Euro-Glam’ as ever with the use of sumptuous furs and luscious leather. 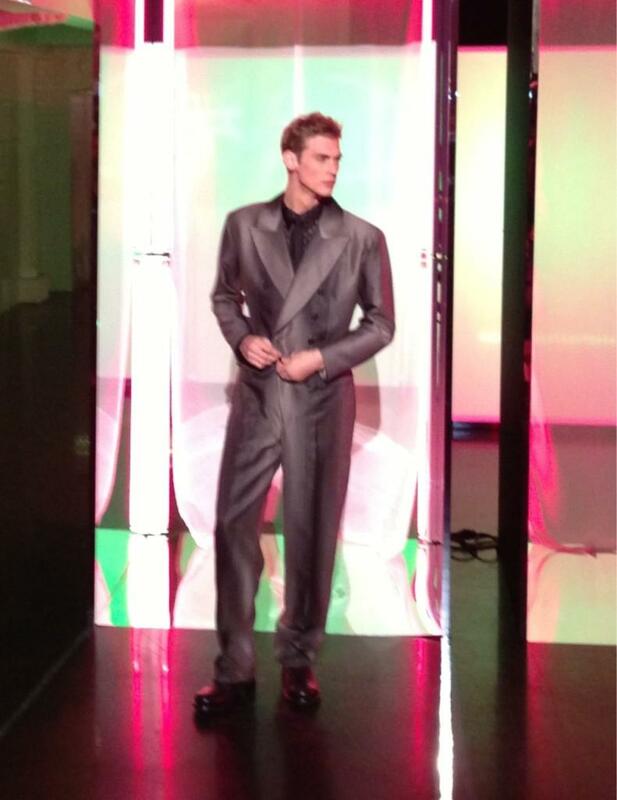 Whilst Jean Paul Gaultier showcased its all-in-one take on the wardrobe staple. 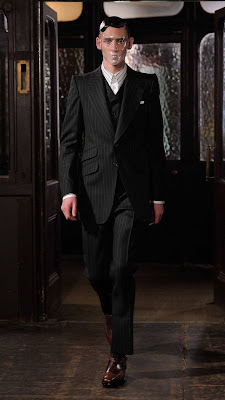 Sarah Burton paid homage to the late Alexander McQueen’s Saville Row roots, in the house’s first Menswear collection, by infusing a cigar shoulder to extenuate the male form through world-class tailoring. 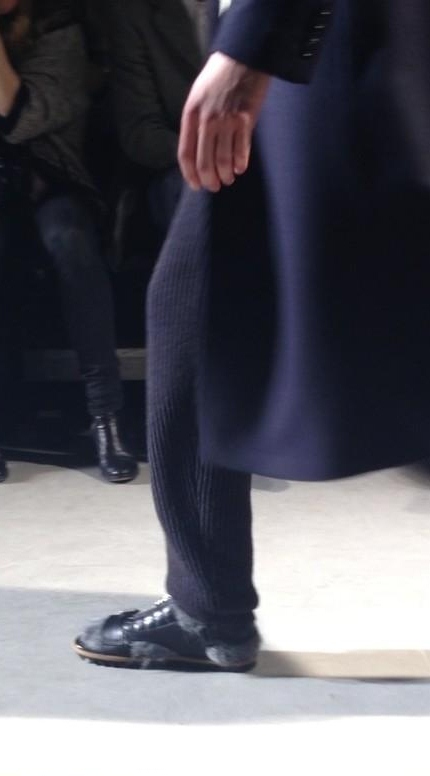 Cropped leg lengths provide a sixties feel and, as for footwear, we shall Chelsea boots given a revival with side buckles and even tapping into quilting and applique- as seen at Dries Van Noten.